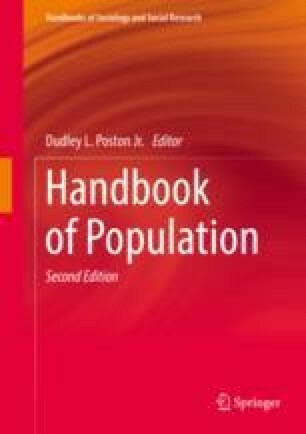 This chapter uses census data to study the massive suburbanization or outward spread of population in U.S. metropolitan areas during the twentieth century and initial stages of the twenty-first century. In decade by decade comparisons of the post-World War II period, we find that the size of the suburban population has increased in a rapid continuous pattern. Central cities have shown varied patterns of growth over decades, but no evidence exists that they are typically experiencing major growth in population numbers. Within the suburban rings of metropolitan areas, the major factors affecting their recent growth are previous population density (low = high overall growth) and the in-movement of the foreign born (high in-movement = high overall growth). We also provide some analysis of the suburbanization of the United States since its founding and the growth of suburban areas around metropolitan areas in the less developed world. Recent decades have been characterized in many countries around the world by very high metropolitan population growth, including in their suburban rings. Appleyard, B. (2014 June 12). In defence of the British suburbs. New Statesman. Retrieved from https://www.newstatesman.com/politics/2014/06/bryan-appleyard-defence-british-suburbs. Accessed 04/01/2017. Belluck, P. (2001, March 15). Chicago reverses 50 years of declining population. The New York Times. Retrieved at https://www.nytimes.com.